On Earth Day, 22 April 2015, the Borneo Orangutan Survival Foundation will release another 8 orangutans to Bukit Batikap Conservation forest, Central Kalimantan. Below you can see their profiles. Learn more about the release program. Semi-wild orangutans categorize those individuals who have still retained sufficient natural behavior at the time of rescue and have consistently showed that they have acquired adequate forest skills. 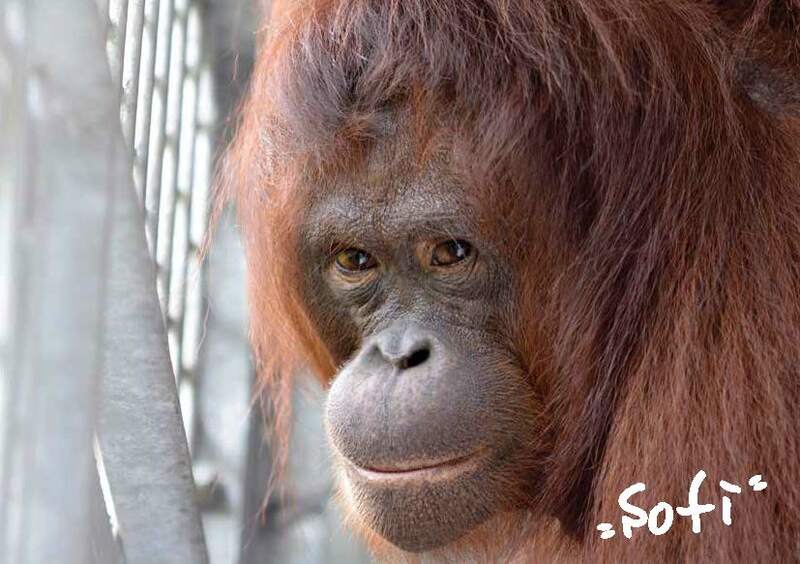 Sofi arrived in Nyaru Menteng from a palm oil plantation concession area in East Kotawaringin Regency, Central Kalimantan, on 15th November 2006 when she was only 4.5 and weighed 8 kgs. She was rescued by the Central Kalimantan BKSDA who operated along with Nyaru Menteng BOSF rescue team. Sofi was found in a poor condition with serious burns on both of her wrists and ankles. Her arms swelled so bad she could not use it properly. This did not stop Sofi to show her wild nature, though. She seemed not to depend on humans at all. Nonetheless due to her poor health condition, she had to go through quarantine process for treatment. Today Sofi is 14 years old, weighing 53 kgs, she has a long reddish brown hair. 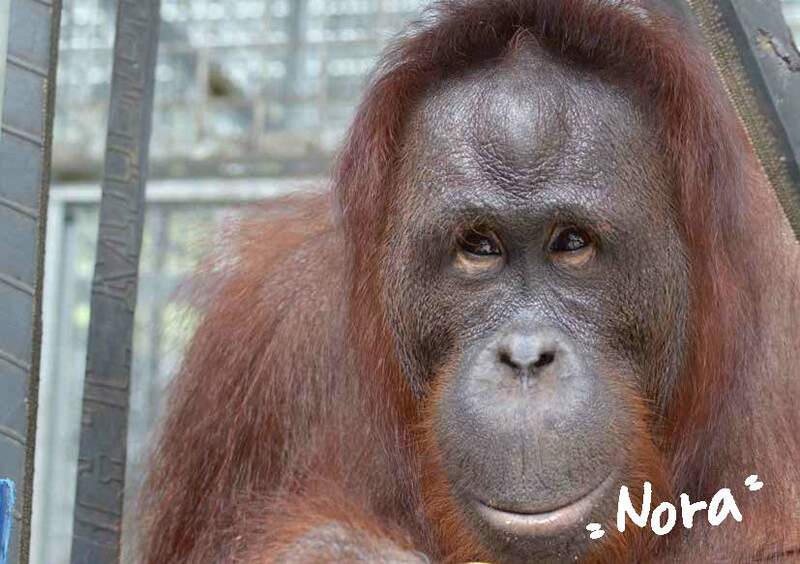 Sofi has grown into a beautiful female orangutan with a sharp glance. Nine years she has spent in the rehabilitation center, Sofi who is aggressive towards smaller orangutans would soon be released in her true home, the beautiful forest of Bukit Batikap. Wombat is a male confiscated from a local in Tangar Village, East Kotawaringin Regency, Central Kalimantan, and arrived in Nyaru Menteng on 15th September 2007. He was 2.5 and weighed 11 kilograms. On December 2012, the long-brown-haired Wombat was tranported to the Bangamat pre-release island. Wombat is a friendly character and loves to mingle with others. He is very active and roams the forest intensively. However friendly Wombat is, he does not like to get annoyed or have his food snatched by others. The sturdy Wombat is easily recognizable for his thin reddish beard. After spending 8 fun years in rehabilitation, the 11 year old Wombat weighing 38 kgs will soon return to his real home in Bukit Batikap Conservation Forest and reunite with his best buddy, Maha. Mardianto is a male rescued by the Central Kalimantan BKSDA off a palm oil plantation area in East Kotawaringin Regency, Central Kalimantan 1st June 2005. When he arrived at Nyaru Menteng, he was 2.5. Released from the forest school in 2012, the short-dark-brown-haired Mardianto was placed in Bangamat pre-release island. 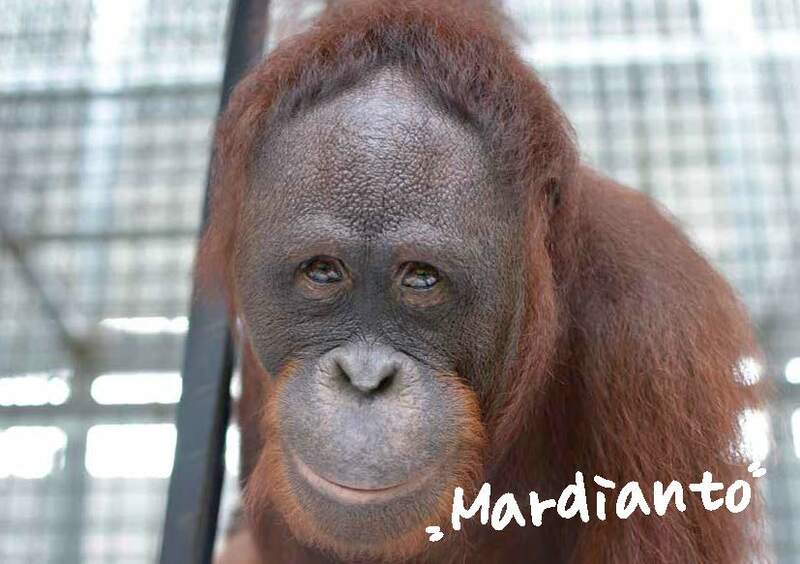 Mardianto is easy to recognize for his wide-flat forehead and dark face. Mardianto associates quite easily with others, he closely befriends with Maha and Wombat. Mardianto is a very active and adventurous individual. The 13 year old Mardianto dislikes human approach and would sound kiss squeak showing his disapproval. 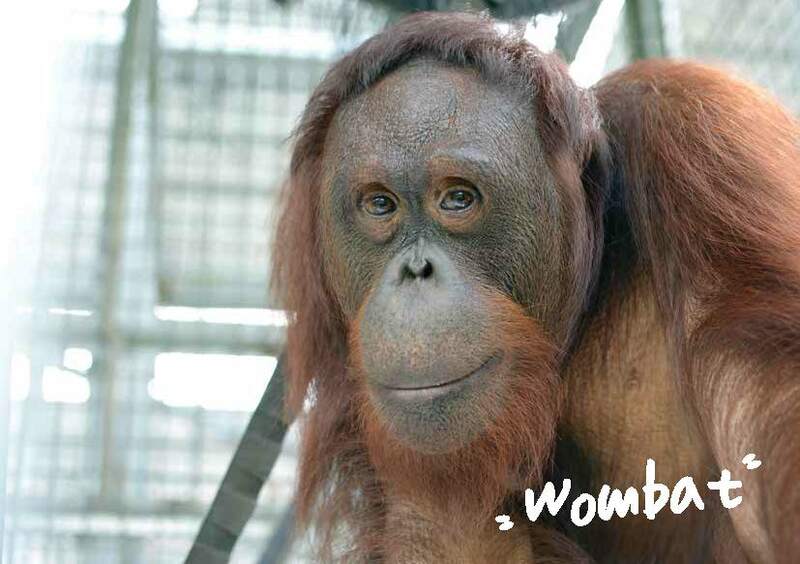 After 10 years of rehabilitation, Mardianto is ready roam his natural home in Bukit Batikap Conservation Forest alongside his two best buddies, Wombat and previously released Maha. 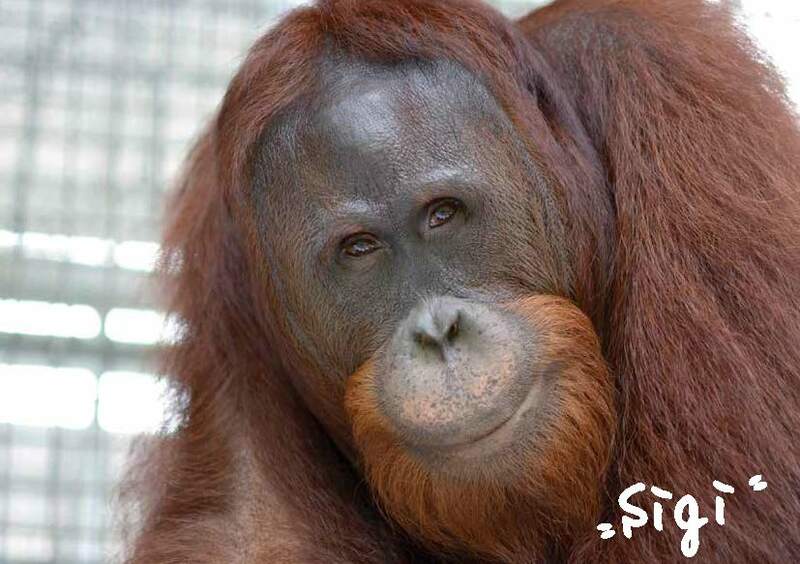 Sigi is a male orangutan submitted by a local in Pundu Village, East Kotawaringin Regency, Central Kalimantan. He found Sigi in a palm oil plantation near the village in a poor condition with festering wounds on his 3 fingers (thumb, index finger, and ring finger). Sigi came in Nyaru Menteng on 6th August 2007 and directly received medical treatments at the clinic. The medics decided to amputate those three fingers to save him from further infections. Several months post surgery, Sigi had started to show his climbing skill at forest school. His disability did not hold him back from normal orangutan activities. On December 2012, the thick-dark-brown-haired with orange beard male started his pre-release process in Bangamat pre-release island. The currently-11-year-old-weighing-45-kgs Sigi does not like to be approached by humans and would show his teeth whenever disturbed. A non-dominant individual, but with a complete skill set he has, Sigi is more than ready to welcome his freedom in Bukit Batikap Conservation Forest. Rehabilitants are orangutans who were rescued at a very young age and/or had been kept by humans as pets. These orangutans did not have or had lost most of the necessary skills to survive independently in the forest and thus must go through an intensive rehabilitation process (Forest School and the final pre-release stage on an island/halfway house), which can take up to 7 years on average. 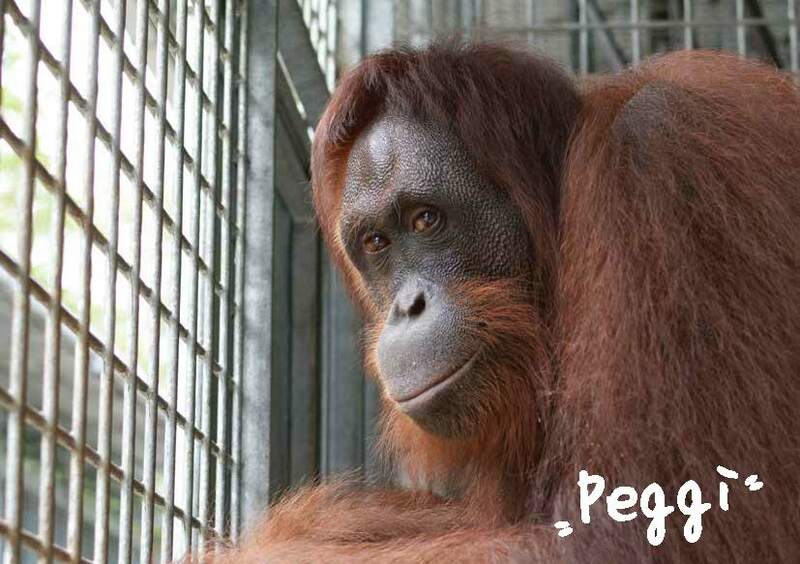 Peggi is a female confiscated by the BKSDA from a Jakarta resident and handed over to Nyaru Menteng on 31st May 2001. Then Peggi was 3 years old weighed 12.5 kgs. Off her quarantine period, Peggi started to join the forest school to regain her natural skill and behavior. Released from the forest school on December 2010, the long and thick-dark-brown-haired Peggi was moved to the pre-release island of Palas and in 20th June 2013 she was again moved to Kaja island. Today, the orange-bearded beautiful Peggi is 18 years old and weighing 35 kgs. Skills of constructing nest, identifying natural predators, and finding natural foods have been mastered by her. After 14 years of rehabilitation, Peggi is waiting for her chance to regain freedom as a true individual for she is going to be released soon. Chiki is a female confiscated by BKSDA from a locals in Banjar Baru, South Kalimantan on 24th September 2003 when she was 4 years old and weighed 14 kgs. Chiki grew to be an independent female. 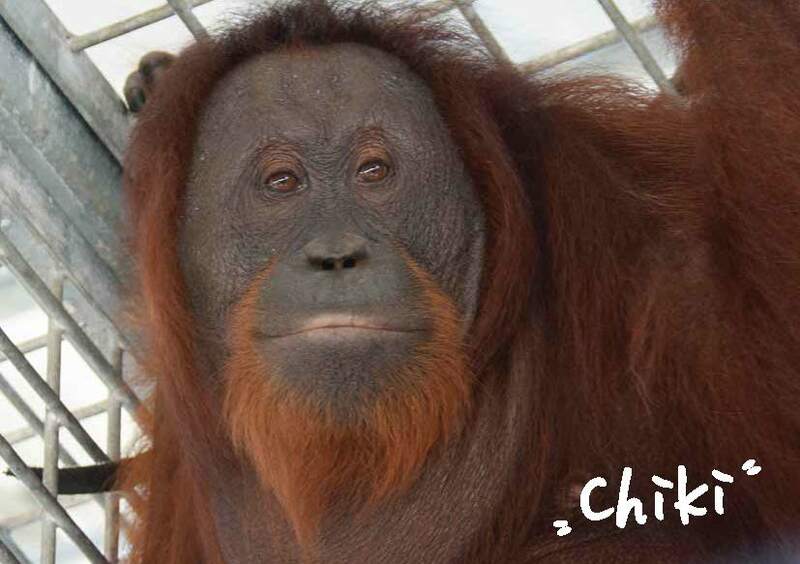 After finishing forest school on 2nd November 2005, the long and thick reddish-brown haired Chiki started to live on the Bangamat pre-release island and become an avid explorer there. Chiki is now 17 years old. Twelve years living in rehabilitation center has helped Chiki to learn and develop plenty of survival skills. It is time for her to prove and apply them as a true wild orangutan in Bukit Batikap Conservation Forest. Afri came to Wanariset, East Kalimantan in 1999 after got confiscated by BKSDA from a local in Palangka Raya who made her a pet. 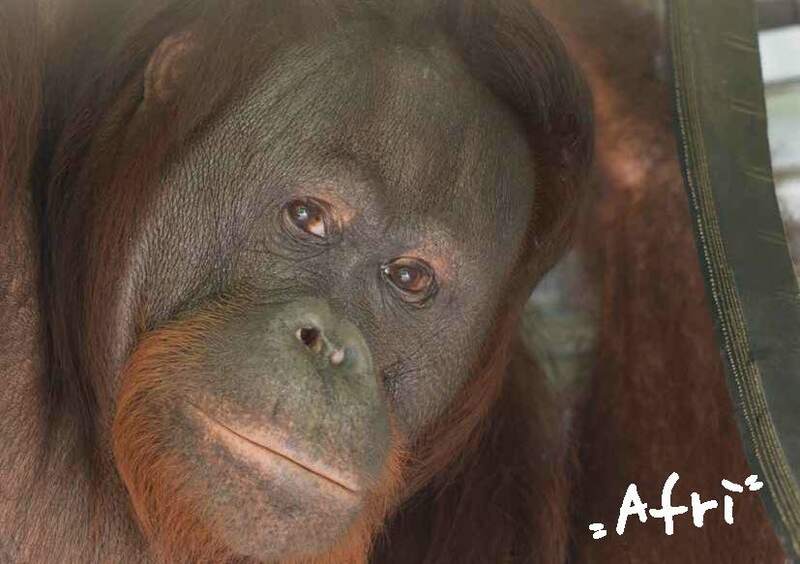 On 23rd August 2000 Afri was transferred to Nyaru Menteng to continue her rehabilitation process. She arrived in Nyaru Menteng when she was 4 and weighing 12 kgs. Same as other rehabilitants, after finishing forest school, Afri went to Palas pre-release island in 2004. The gentle and friendly Afri behaves and mingles well with others. The short dark-brown haired with thin-orange-beard Afri is known as a good explorer and skillful in choosing natural foods. She loves to play with water, too. The wide-cheeked Afri has been learning in Nyaru Menteng for 16 years. Now in his 19th years, weighing 66 kgs, the beautiful Afri is set for a new life in Bukit Batikap Conservation Forest. The 4 year old Nora who weighed 12 kgs arrived in Nyaru Menteng on 28th March 2003 after confiscated from a local in Ketapang Regency, West Kalimantan, who tried to domesticate this young female. Nora, skillful in looking for natural foods finished forest school and continued her training in Palas pre-release island, but on 27th April 2010 she was brought back to Nyaru Menteng for a medical treatment after fighting with other orangutan, resulting in wounds on her back and right eyelid. After recovery, Nora was moved to socialization complex and on June 2013 to Kaja pre-release island. The independent Nora rarely appears in the feeding platform because she is more interested in venturing the island and looking for natural foods. This rather tubby orangutan with short thick dark brown hair, slanted brown eyes, and good look is now 16 years old and weighs 40 kg. with her experience in Palas and Kaja, Nora is more than ready to live in Bukit Batikap Conservation Forest as a true wild orangutan. Learn more about the release program.